Some guys just can't handle their drinks! This week's comic is set up by the previous two strips, but reading them isn't really necessary to get the joke. 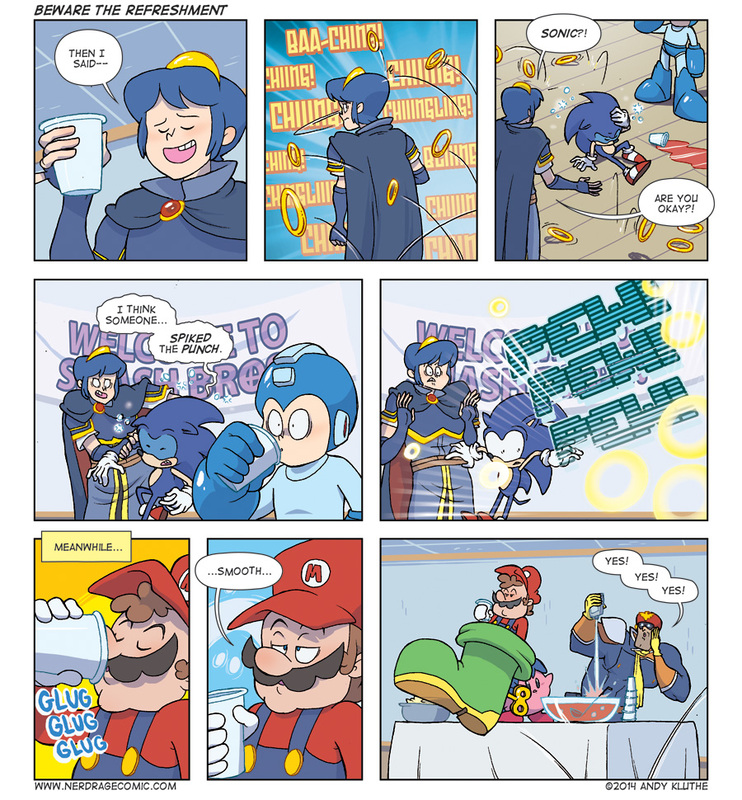 And if you're not sick of Mega Man jokes, Hejibits also did an excellent gag about the Blue Bomber this week!